IF YOU’RE LOOKING FOR A COMFORTABLE, VERSATILE AND SUSTAINABLE GILET, THEN NATTILY MAY WELL BE THE BRAND FOR YOU. Whilst we all dream of skiing day-in, day-out, all-season long, the reality for many UK-based skiers is often very different. Life is busy, time is precious, and the mountains are actually quite far away so unless you live in Scotland, you may only end up getting on skis for a week or two at best over the course of winter. As a result, it makes perfect sense to invest in kit that you can wear in the mountains and all year round at home. New activewear brand NATTILY was founded with that idea very much in mind. The traditional cut, style and cozy fleece fabric will appeal to the more mature skier and/or the horsey/ski crowd rather than the young cliff-hucking freerider – think Mother’s Day present rather than teenage birthday gift and you’ll be on point. At a ‘refined’ £120 they’re way too pricey to end up on a messy seasonnaire’s floor anyway…. 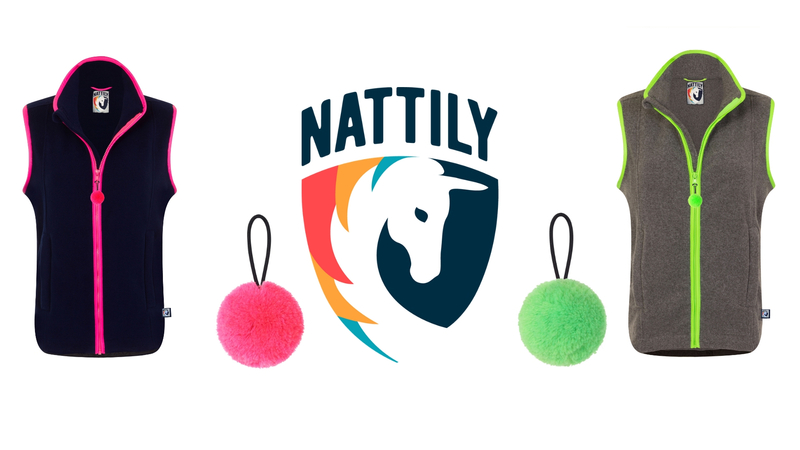 The colourful trims and detachable pom poms ensure that NATTILY‘s gilets stand out from other sleeveless fleecy mid-layers but the point of difference we really appreciate is the sustainable construction. VERDICT: IDEAL FOR LOYAL FLEECE FANS, REFINED OUTDOORSY FOLKS AND ANYONE LOOKING TO SUPPORT A NEW, ONE LADY ON A MISSION, BRITISH BUSINESS WITH SUSTAINABILITY IN MIND.